Pomeranians are cute little dogs that resemble a warm fur ball. They became popular in the second half of the 20th century. These Toy dogs seem to have found a lot of admirers all over the world. Still, a greater number of Pomeranian owners seem to reside in the United States and Great Britain. Along with popularity always come undesirable phenomena, such as irrational breeding, and irresponsible owning. 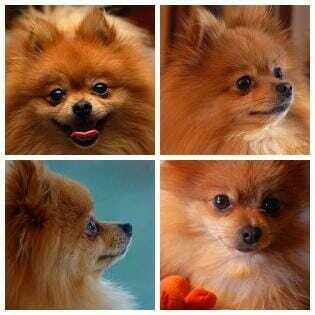 Pomeranians are said to be placed into rescues for the same reasons other breeds are. A rescued Pomeranian is likely to be abandoned because of changed living conditions, health disorders, behavior difficulties, or animal abuse. Obviously, the enumerated issues are closely linked to poor breed education. One does not have to strain their imagination to realize that anyone who sees a fluffy, lively Pomeranian is easily charmed. It is enchantment that makes many people purchase a Pomeranian giving little thought to responsibilities any dog owner should fulfill. Facts mentioned above are meant to assure a person willing to own a Pomeranian to acquire necessary education. One should be aware of Pomeranian’s exercise and grooming needs. Keep in mind that no breed of dog is perfect, and thus, particular difficulties are inevitable. Knowledge is the main weapon to tackle them. Pomeranians need considerable grooming. Professional services are not a must on condition you brush and wash your Pomeranian regularly. Basic care includes brushing about twice a week, checking ears and teeth. Pomeranians are not recommended for people with small children since they demand considerate handling.